Indian tourist arrivals have gone up by 15% since the beginning of this year, with 237,369 arrivals recorded up to July. Sri Lanka Tourism now aims to scale up the number to nearly 400,000 visitors this year and substantially raise the percentage of Indian travellers by that time. The event saw great enthusiasm by the travel and tour operators not just from those two cities but from neighbouring states. The event saw attendance of approx. 125 travel and tour operators, media people and other dignitaries. The event started with B2B meetings, followed by presentations by SLTPB and Sri Lankan Airlines. 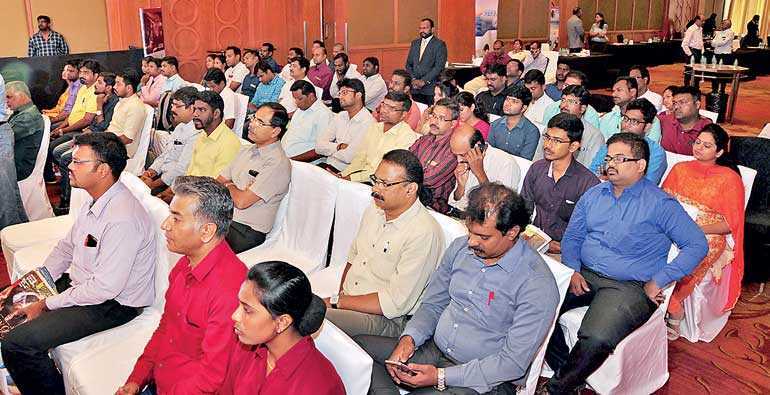 The President of Tours and Travels Association of Andrah K. Vijay Mohan said that this was the first ever B2B roadshow conducted in Vizag by the Promotion Bureau to showcase the tourism potential to travel agents of Andra Pradesh. 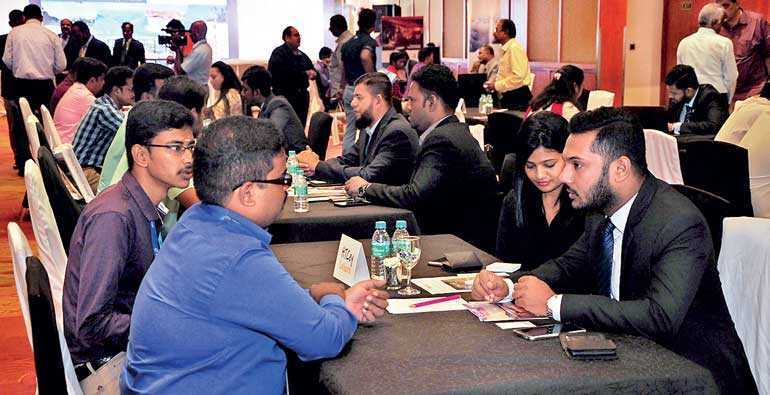 “As many as 22 DMCs and hotels from Sri Lanka participated in the event which was also attended by 120 agents from Andrha. They showcased their luxury hotels, beach resorts, casino, Ramayana trail and many leisure itineraries as well as Buddhist tourism circuits,” he said. He added that with direct flights between Colombo and Vizag nearly three times a week, which B2B roadshow would go a long way in promoting Sri Lanka as the most preferred tourist destination. “India is a very important market for us. We have seen an annual rise in arrival numbers from India over the years. The roadshow was conducted to increase visibility of the destination and highlight the new and lesser known attractions. 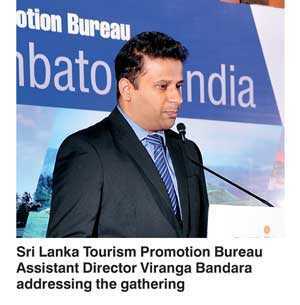 We hope this event will add a positive impact and further increase Indian tourist footfall in Sri Lanka,” said Sri Lanka Tourism Promotion Bureau Assistant Director Viranga Bandara. The participants from Sri Lanka included Apple Holidays, Jetwing Travels Ltd., Asian Adventure Travel Management company, HTCEY Leisure Ltd., Walkers Tours Ltd., Hamoos Travels, Karusan travels, Green Holiday Center, Riu Hotel & Resorts, Esna Holidays Ltd., B.O.C. Travels Ltd., Club Palm Bay Hotel, Holiday Park Ltd., Jagath Tours & Travels, Mount Lavinia Hotel, Nkar Travels and Tours, Spiceland Holidays, Sri Lankan Footprints, The Travel Concierge Sri Lanka (TTC) and Travel Wind Holiday Ltd., along with Sri Lanka Tourism officials and Sri Lankan Airlines’ officials, who showcased unique tourism offerings, latest developments and exclusive products for India market. Vishakhapatnam is one of the most important city in terms of outbound tourism market of South India. Popular Indian travel companies have registered steady growth from the city for international destinations. Interestingly, SriLankan Airlines has also started their direct flights from the city as the city was on their expansion list and has also shown remarkable growth which is on par with the metros. It also has to be noted that Sri Lanka has seen a substantial growth in tourist arrivals from India in the year 2017, with over 3.84 lakh Indian travellers. This makes India one of the top 5 tourists’ arrival markets in Sri Lanka. Sri Lanka is also one of the top 10 holiday destination for Indian travellers, so with this roadshow, the tourism board look forward to extend its reach beyond metro cities of the country. This 7-city roadshow aim at strengthening the tourism relations between travel partners of both the countries and are part of SLTPB strategic efforts to promote Sri Lanka as the most preferred short-haul holiday destinations for Indian travellers.